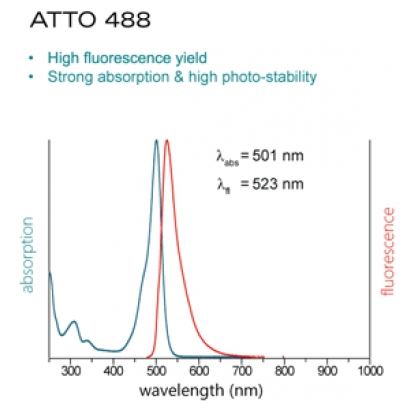 New generation antibodies: Superior photo-stability & strong fluorescence! 사이에 이미 정평이 있으면서도 가격은 상대적으로 저렴합니다. The quality of secondary antibodies is essential in producing superior results in immunofluorescence. immunofluorescence microscopy and mostly also for high resolution techniques. 1. 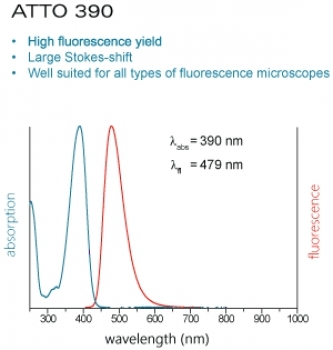 Atto 647N fluoresces in aqueous solution twice as strong as Cy5TM. 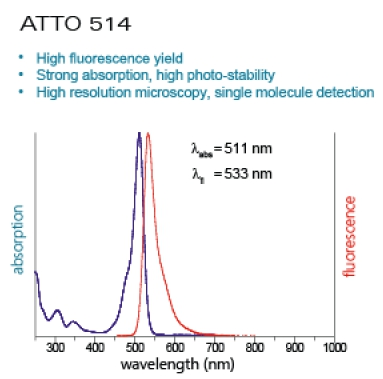 2. under identical conditions Atto 647N lasts up to 100 times longer than dyes like Cy5TMand Alexa 647TM. 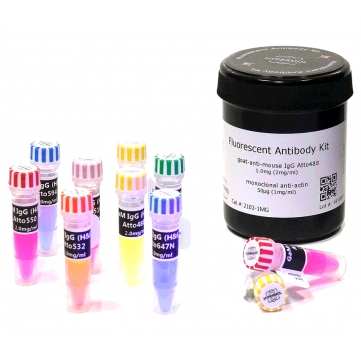 Highly specific secondary antibodies - strong & long lasting fluorescence! microscopy, due to the high photostability and strong fluorescence quantum yield. mapped actin antibody of high performance also on western blots. Degree of labeling (DOL) : 2-9, Unconjugated dye ≤5% of total fluorescence. For further information please see DataSheet. Storage condition Store as glycerol stock at -20°C. Avoid repeated freeze / thaw cycles. Shipped as liquid on ice within EU. Upon delivery prepare aliquots and store at -20°C. longer than 2 days, including a glycerol buffer for convenient reconstitution. *in 50% glycerol, 0.01 M sodium phosphate, 0.1 M sodium chloride, 10 mM sodium azide, pH 7.4.